Is a monument of Governor Suryo statue as the first governor of East Java who was killed in Madiun by the PKI rebellion. 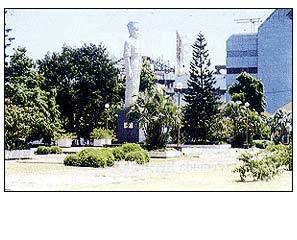 This monument located at Taman Apsari, Pemuda str. in front of the Gragadi bulding at Pemuda street - Central Surabaya.